Happy little Amy, AKA the Queen, was such a sweetie. She was so full of life and energy it was hard to keep up with her. Amy happily smiled and played for her family photos with Mum and Grandma, then made Mum chase her around while she crawled up a storm. 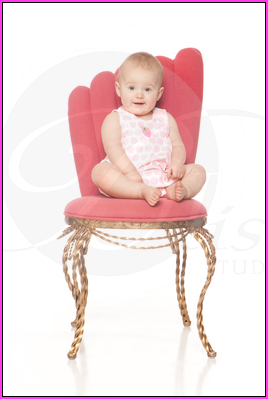 Then Amy sat very regally on her royal pink chair for her baby photos. Then she finished it all up with some adorable nudie baby portraits, where she stayed entertained with some bubbles. Here are some sample shots of Amy’s work.